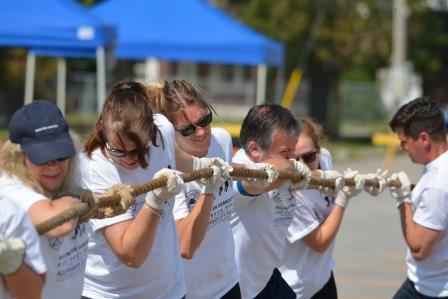 On Friday, September 15th, 2017, our team is looking forward to challenging the other teams to see how fast they can pull a large fire truck weighing approximately 35,000 lbs a distance of 25 feet in the shortest time. Alzheimer’s is the most common type of dementia, an overall term that describes a wide range of symptoms associated with a decline in memory or other thinking skills severe enough to reduce a person’s ability to perform everyday activities. Alzheimer’s accounts for 60 to 80 percent of cases. Vascular dementia, which occurs after a stroke, is the second most common dementia type. There are many other conditions that cause symptoms of dementia, including some that are reversible, such as thyroid problems and vitamin deficiencies.